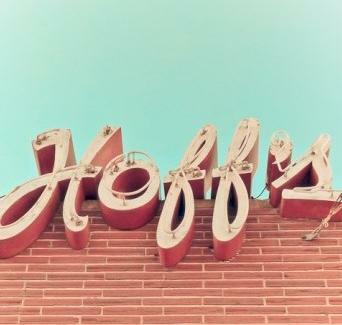 From a local photog aiming to capture the fading beauty of mid-century signage, this handsome collection of buyable prints includes everything from a run-down building painted with "OK Used Cars", to a neon bar sign for Hoff's in Owatonna, about which he comments "David Hasselhoff is probably best known for his leading role as a shirtless, cheeseburger-eating dude on a YouTube video I once saw. According to IMDb, he’s also had roles on Knight Rider & Baywatch (who knew?). Anyway, this bar has nothing to do with him".